What's all the fuss about making banking fun? If you can make it there, crooned Frank Sinatra, you’ll make it anywhere. 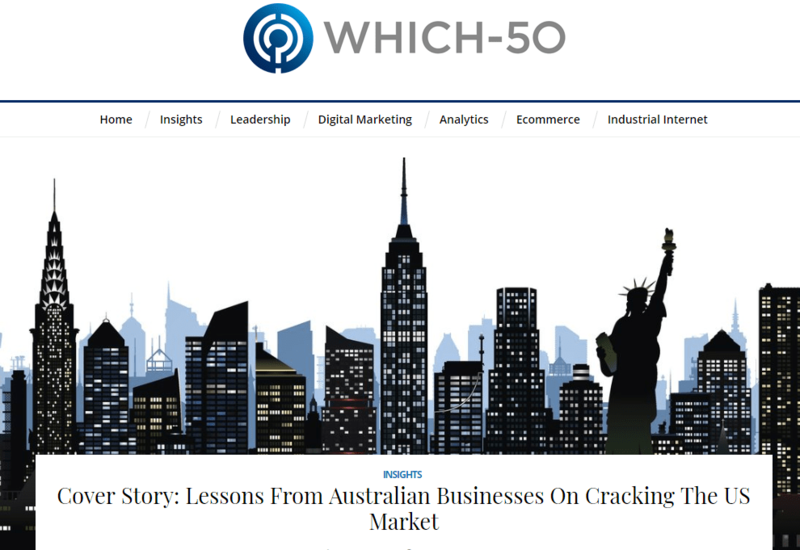 However, making it here first might be a good place to start, according to homegrown entrepreneurs we spoke to who plan to grow offshore, and in particular, into the tough US market. Moroku CEO Colin Weir, joins quick service restaurant Guzman y Gomez CEO Steven Marks, to talk about entering the US market. 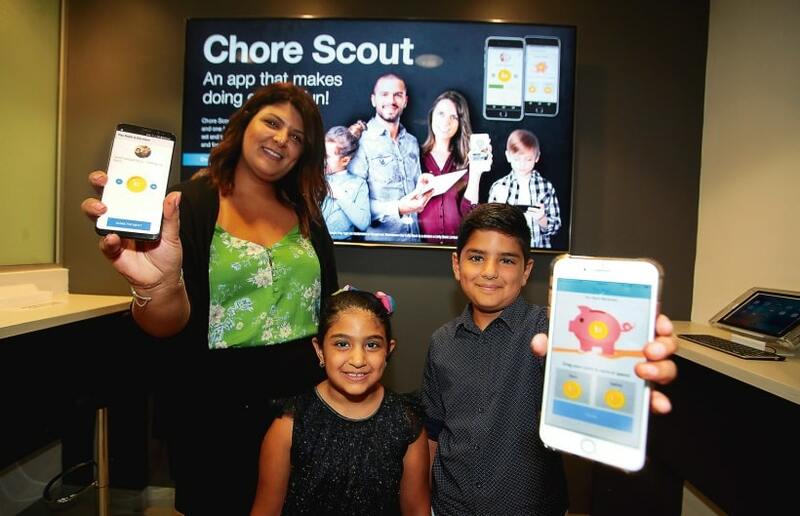 BANKSTOWN City Unity Bank has teamed up with Moroku to deploy their new kids banking app called Chore Scout, designed to help parents teach their kids about saving and budgeting.The Chore Scout app encourages kids to earn money from chores by linking the parent and the child’s phone, with the parent nominating an account for the child to be paid through their internet banking. 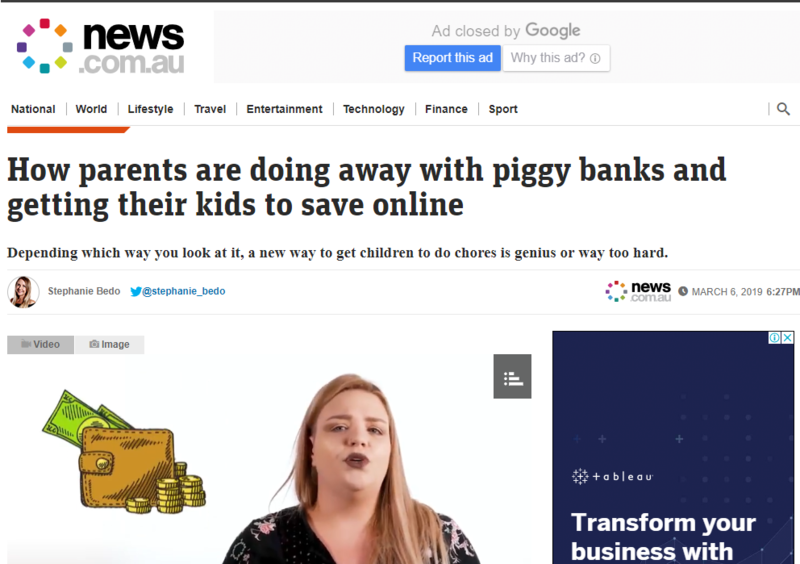 The child is able to set and track their chores, have pocket money automatically transferred into their account once it has been approved by their parent. 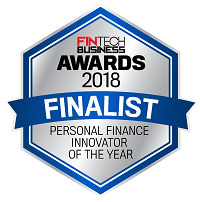 Moroku’s Chore Scout is in the running to take out one of Australia’s top industry awards, being shortlisted to win the Personal Finance Innovation category at the 2018 Fintech Business Awards, hosted by Fintech Business, an Australian publication focused on the evolving Australian fintech community and its projection on the global stage. 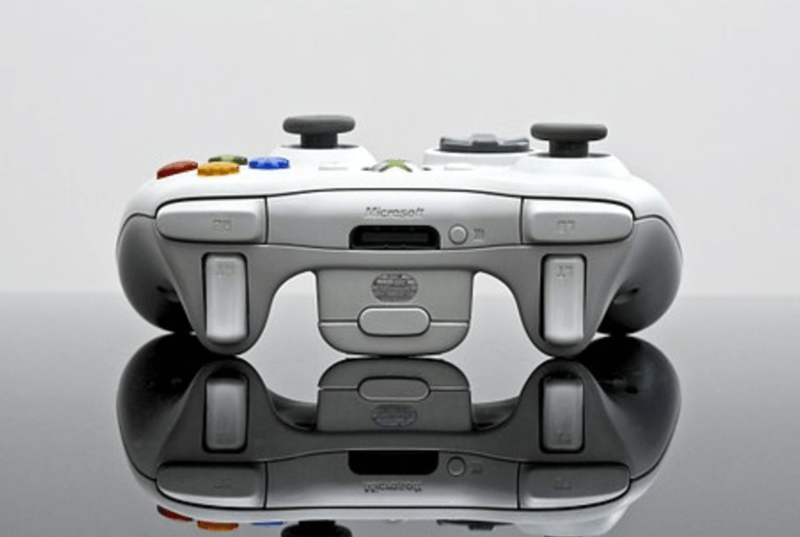 What does gaming have in common with banking? Not much – yet. 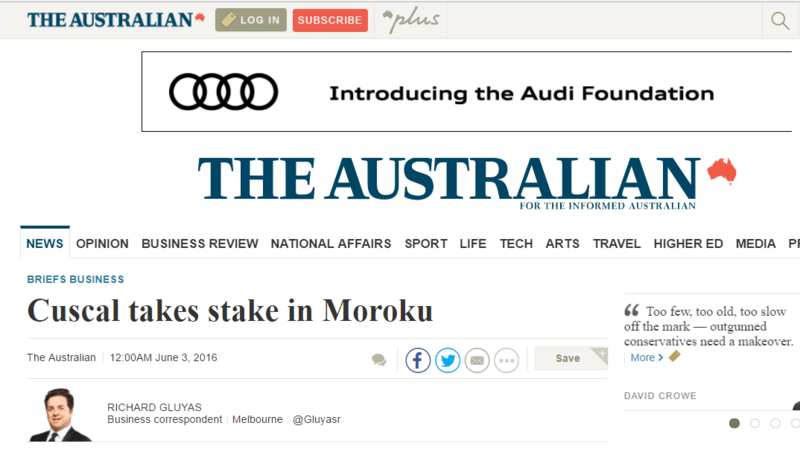 Australian tech company Moroku is about to tackle the question and turn banking into a fun experience. 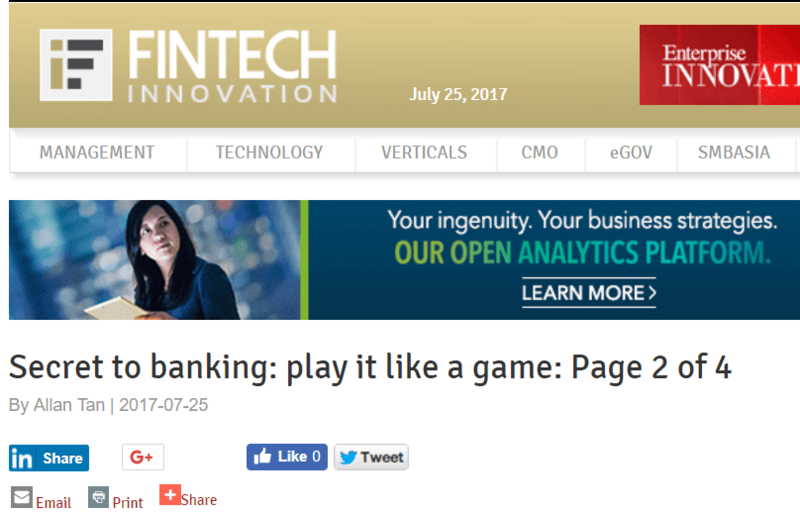 How banks and clients alike can profit from Moroku’s strategy of gamification, why saving was not of interest to our caveman ancestors and what Clash of Clans has to do with real life: CEO Colin Weir explained that and more in an interview with European Business. 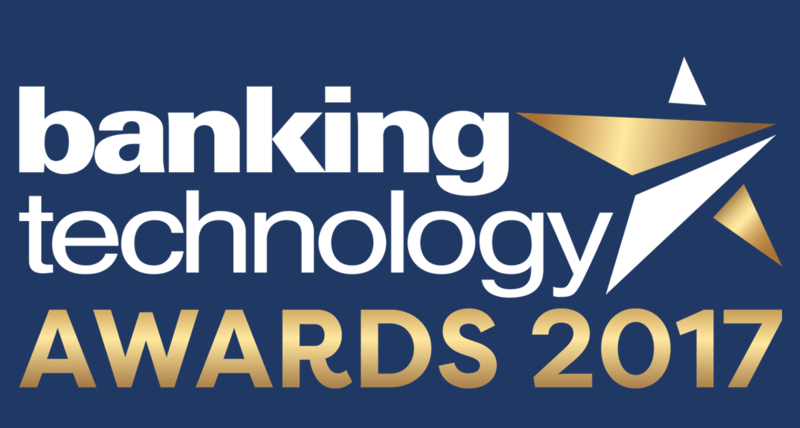 Now in their 18th year, the Banking Technology Awards have become established as the premier event recognising excellence, innovation and the use of IT in banking and financial services. The shortlisted companies for this year have just been announced with Moroku recognised for it’s collaboration with Finastra for Top Digital Innovation 2017. This recognises Moroku as one of the world’s top fintechs, separating the company from thousands of companies around the world trying to figure out what is next, highlighting not only the power of the firm’s innovation, but also it’s capacity to scale through distribution. This win comes off the back of Finastra , the world’s 3rd largest Fintech with nearly $2bn in revenues, choosing to build their next generation digital platform on Moroku, and a solid year of growth for the company. 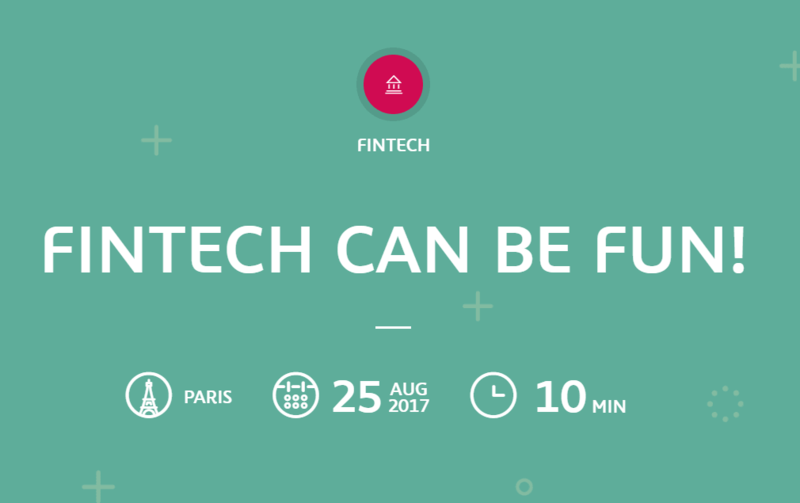 Moroku identified as one of the top 4 Fintech’s globally best positioned to take on the battle for Millennials by L’Atelier, BNP Paribas’ research group charged with assisting the bank and its clients in formulating the right strategy to address and take advantage of current and future change. When you talk to Millennials (aka Generation Y-ers), one word keeps coming back again and again: fun. “It has to be fun and it has to move fast,” underlines French philosopher and noted conference speaker Denis Marquet. Whatever label you choose to give it, fun, cool, rock’n’roll, amusement or simply pleasure is in the year 2017 the key factor for a successful financial experience. 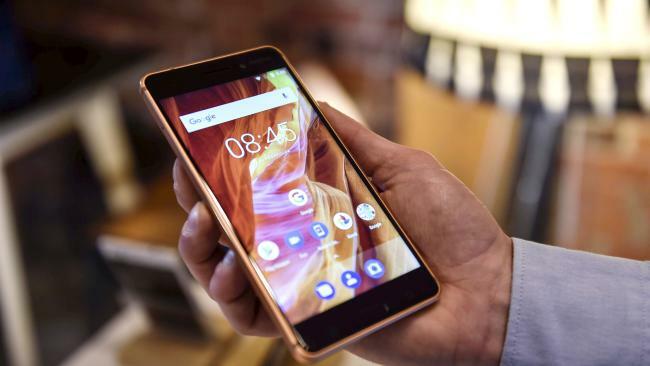 This is, at the very least, is what most appeals to Millennials, who are noted for their ubiquitous and intuitive use of digital tools based on their iconic device – the mobile phone – and are attracted to video games to an extent that is very rare among their elders. This propensity for gaming has earned this segment of the population the nickname ‘Generation Play’. 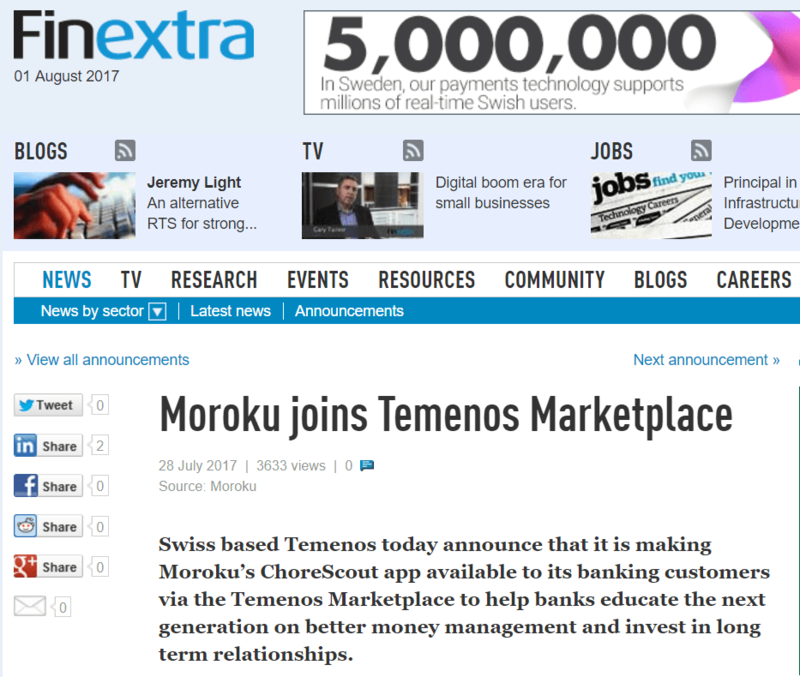 Swiss based Temenos announce that it is making Moroku’s ChoreScout app available to its banking customers via the Temenos Marketplace to help banks educate the next generation on better money management and invest in long term relationships. The announcement sees ChoreScout integrated with the Temenos core banking platform, whilst marketplace availability means that existing Temenos banks are able to login to the marketplace, review background material, request a free trial and be provided with test accounts. With over 2,000 firms across the globe, including 41 of the top 50 banks, relying on Temenos to process the daily transactions of more than 500 million banking customers, the agreement gives Sydney based Moroku access to a significant and global customer base and gives Temenos a solution in the increasingly buoyant youth banking market. 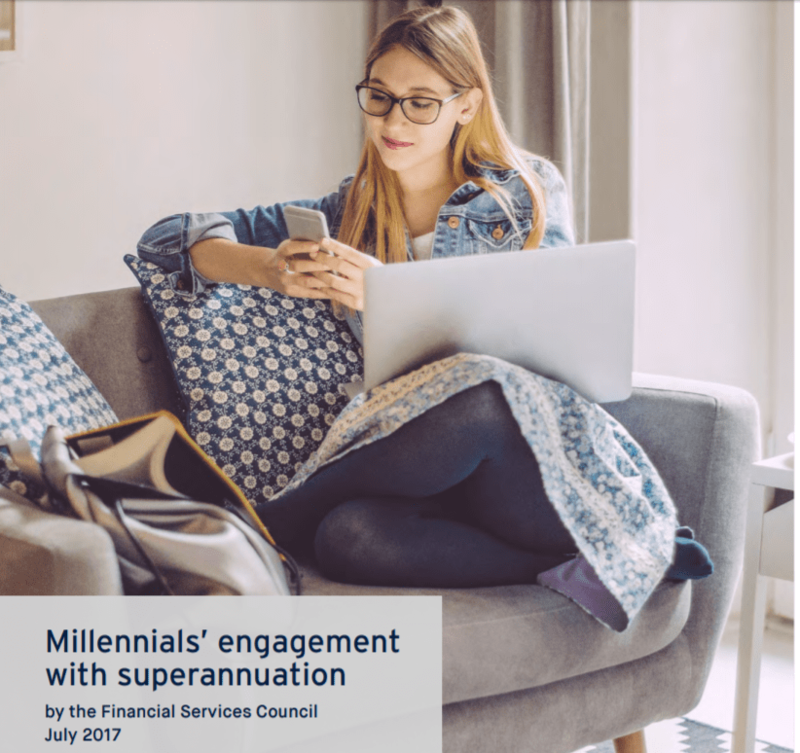 The Productivity Commission (2017) expressed concerned that younger people showed little interest in their superannuation and were particularly vulnerable to making poor decisions. The FSC asked Deloitte Access Economics to look more closely at the 18-34 year olds to understand what we need to do to get them interested in their retirement and in superannuation, interviewing Moroku CEO, Colin Weir, and highlighting the firms research and developments. Properly developed and executed games enthrall its participants to be part of an activity for as long as gamers find it of interest. With the confluence of the Internet, social, mobile and digital, financial institutions are discovering the potential of gamification to draw customer engagement and drive loyalty in some cases. “Treating financial services as a game is however the most transformational opportunity available to financial services executives looking for an opportunity to out compete the market. When we put our customer’s success at the heart of the product design process, framing everything in the context of a game, we force ourselves to answer fundamental questions around our purpose and relevance. When we do this, we unveil fabulous opportunities to provide consistently better levels of value and service,” he opined. 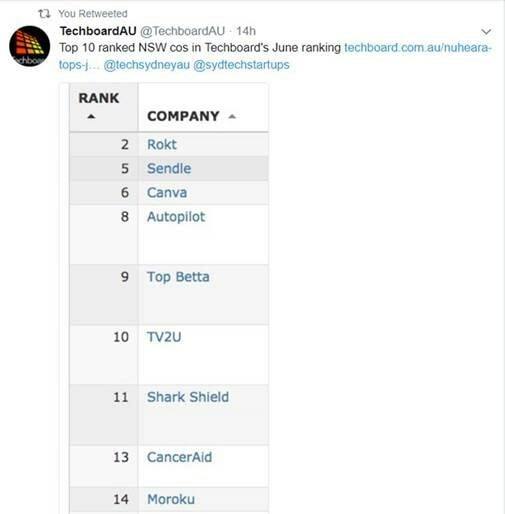 Following a busy 90 days locking in our platform and global distribution strategy, Moroku has climbed the ranks to join the top percentile of Aussie startup techs and amongst some great company. 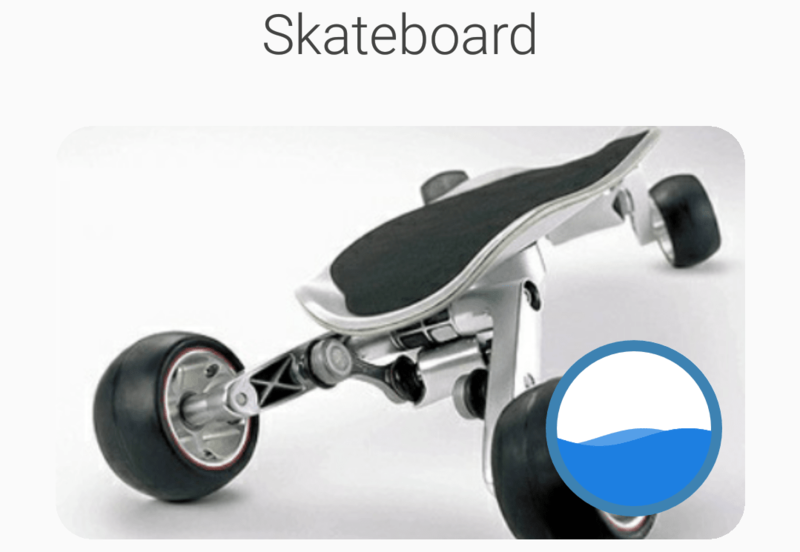 The Techboard Ranking was established as a way of raising the profile of startups and young tech companies by helping to highlight trending or up and coming companies, those who are attracting greater mindshare. A key feature of the ranking is that we get input from a local panel of experts to identify startups and young tech companies that have got the Experts’ attention over the ranking period. The Australian Securities and Investments Commission is continuing with its plan to open new avenues for fintech startups to expand, last week signing a cooperation agreement with the Malaysian Securities Commission ‘SC’, following similar agreements with Japan and Hong Kong in recent months. Colin Weir, founder of Sydney-based banking app creator Moroku says he is glad ASIC is “actively shifting the needle” by lowering barriers to entry for startups and “inviting us in to those kind of environments”. “The truth is that [Asia] is the engine room of the global economy,” he says. Weir believes that ASIC needs to set concrete goals to help the fintech ecosystem, which means deep-diving into the industry landscape and noting where competition is lacking and where there is a potential for innovation. “No one wants startups – what we want is strong healthy robust businesses in the marketplace,” he says. To that end, he notes that enabling startups “access to the regulatory sandbox” in the broader regional market “can only be good”. National Australia Bank will soon announce the next stage of the digital wallet market by launching an Android Pay service. NAB is said to be close to quitting the consortium of banks that unsuccessfully pitched to the Australian Competition & Consumer Commission to collectively negotiate with Apple, forcing the tech giant to open up the iPhone’s near-field communication antenna to their own digital wallets. It’s pretty clear that bowing to the pressure of the banking industry in a relatively marginal market like Australia is not the Apple way. Integration a winner. As fintech niches like lending and payments rapidly become commoditised, the addition of value-added services is a prerequisite for survival. Local fintech Moroku’s distribution deal for its advanced point-of-sale software Marrakash is the latest example. As fintech niches like lending and payments rapidly become commoditised, the addition of value-added services is a prerequisite for survival. Local fintech Moroku’s distribution deal for its advanced point-of-sale software Marrakash is the latest example. Marrakash’s value for AEVI, a subsidiary of the world’s biggest ATM and POS supplier Diebold Nixdorf of Germany, is not so much vanilla payments as the software’s ability to integrate business, products, customers and payments systems into a single platform. Marrakash enables small to medium-sized businesses in the food and hospitality, retail and financial services industries to display a full product catalogue, create customer loyalty schemes and take secure card payments on the go. Moroku’s www.chorescout.com has won 3rd place in the Temenos 2017 Innovation Jam. There were 10 global finalists after the 5 regional heats with some strong competition. Each company was provided 7 minutes to pitch their story to the audience of over 1000 industry representatives from all over the world. Delighted with where we’ve got to with this product and the awareness that this event and the subsequent availability of ChoreScout on the Temenos Marketplace should drive some decent traction. Indeed already today we have picked up leads in Australia, Canada, Lebanon and Africa. Misys, the London-based financial services software company, is collaborating with Moroku to bring gamification to educate the next generation on money management. The company says it is making gamification an integral part of its Misys FusionBanking Essence Digital platform to help banks educate the next generation on better money management. With research suggesting that consumers spend more than one billion hours a month playing mobile games, the case for gamification in helping banks to attract, engage and retain customers is compelling. Fancy a game with that banking transaction? 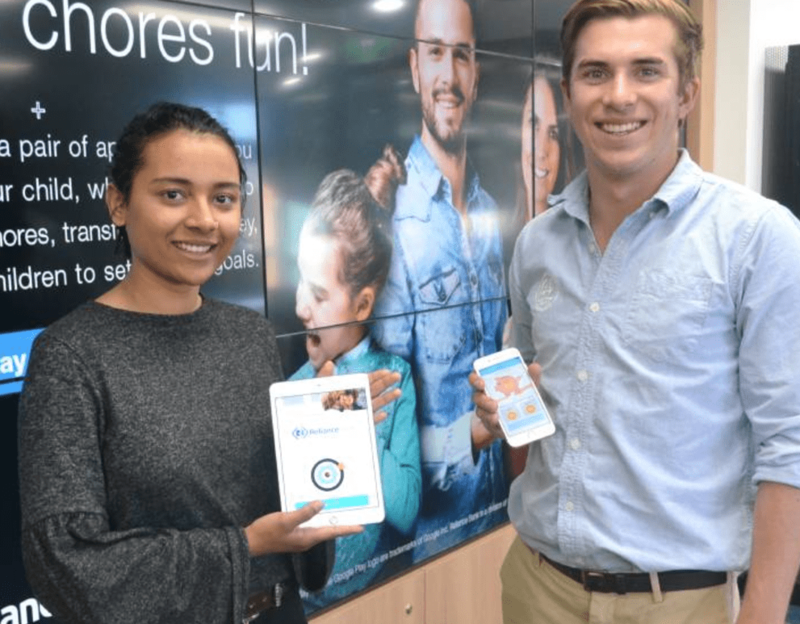 Most people don’t expect banking to be fun and pretty much want to get ‘in and out.’ But Sydney-based startup, Moroku, is changing that with gamification technology that is getting some attention from the largest banks in the world. 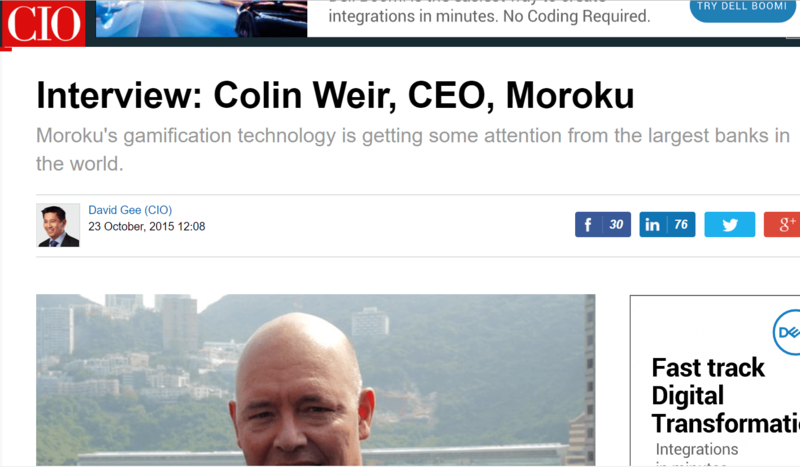 CIO sat down with Moroku’s CEO, Colin Weir to discuss what motivated him to start the company and its core objectives. DSK Bank in Bulgaria, the country’s largest retail bank and a subsidiary of the OTP Bank group launches DSK Gameo, an online savings app based on the Moroku GameSystem that, by using the principle of gaming, encourages customers to make regular savings. It enables them to track their progress against fellow savers and get rewards from the bank for using the applications and making payments into the account. 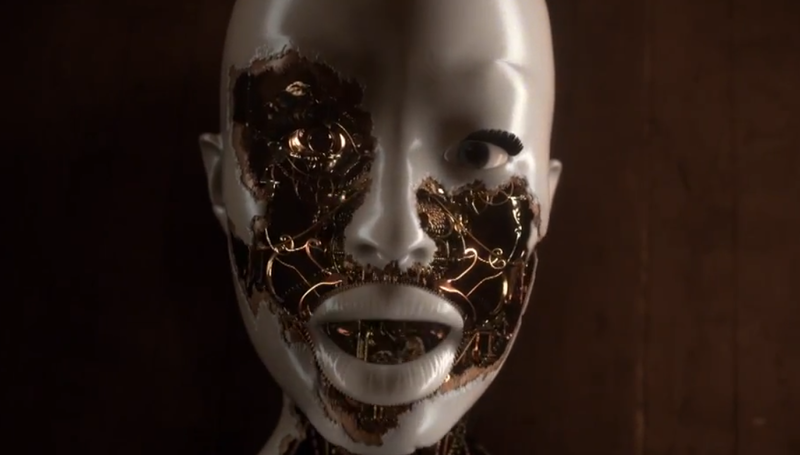 READ MORE or watch the video here. Cuscal, the nation’s key independent provider of payment solutions, has taken an 11 per cent stake in emerging fintech company Moroku, which provides a mobile banking platform in the cloud that facilitates customer acquisition. In the latest example of a partnership between an established financial services player and an ambitious start-up, Moroku will help Cuscal take its digital business to the next level. “Their expertise in app development will help broaden our own capabilities and allow us to enhance our digital and mobile offering, which is an increasingly important part of our clients’ product suite,” Cuscal managing director Craig Kennedy said. 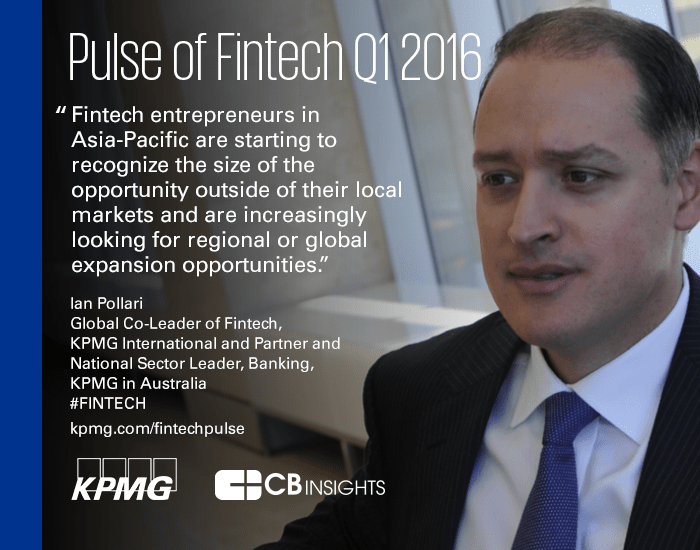 KPMG partner Ian Pollari, the co-leader of the firm’s global fintech practice and a key player in the creation of Stone & Chalk, estimated yesterday that there were now 200-250 fintech start-ups around the country, most of them aiming to disrupt or partner with legacy players in the financial services industry. n conjunction with Mr Pollari and other experts, The Australian has identified teh country’s top prospects.